The white page is snow. Planning preserves it. 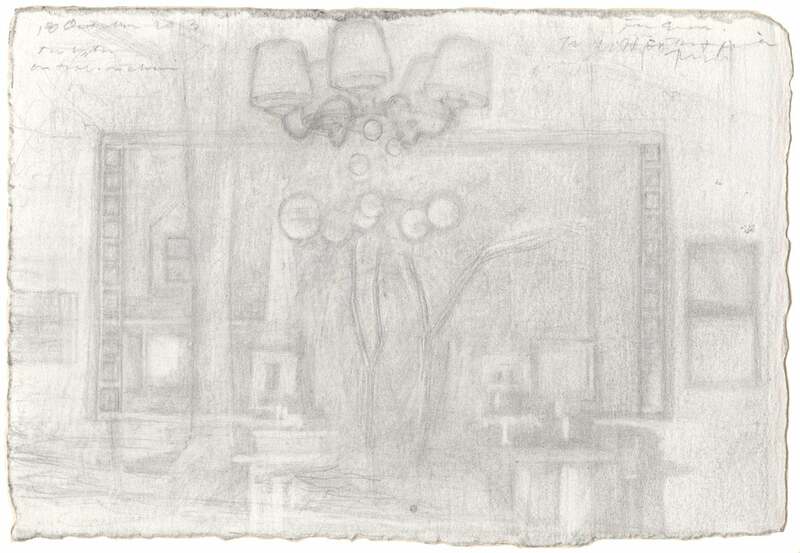 I compose the sheet with pencil, then pre-dampen sections with clear water. Then I paint watercolor into the wet. Capillary action pulls the color to the places I want it. The snow stays dry and white, anchoring the image. After beginning a drawing entitled Reflection with Snow a few seasons ago, I'm glad for the snow this winter. I've returned to this drawing in front of my subject. After working watercolor washes into the drawing last year, I've continued this year. I'll assess the drawing through the winter. Perhaps the image is complete. Perhaps not. I might wait until next year to see if I feel the essential markers have been found. (below) Reflection with Snow, watercolor and graphite on Fabriano paper, [work in progress, 1 February 2016]. Snow isolates the eye. It removes detail in the same way night does. Impressions are distilled. The blackbird sat In the cedar-limbs. At the end of the poem we look back at the observer. Snow helps me locate myself as viewer, isolating clues that define my relationship to the image. 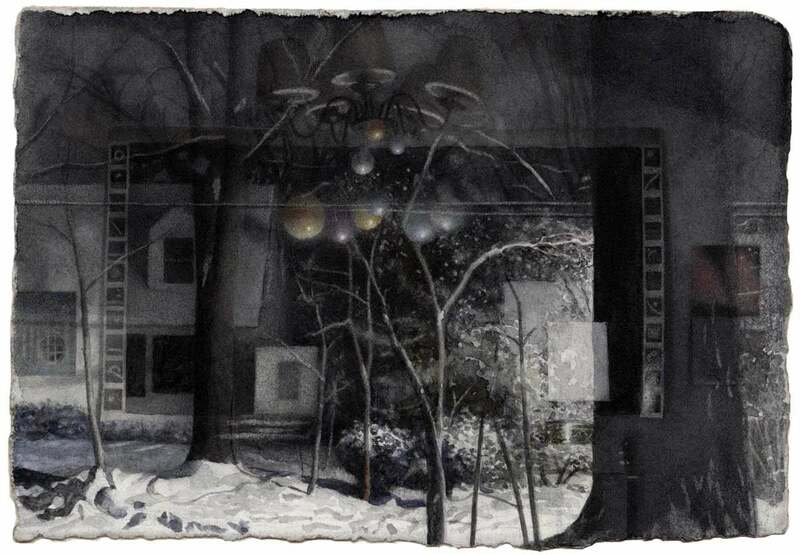 Seeing the snow this year stirred me to work watercolor into a penciled composition (above) and begin calling it Self Portrait: Snow Night. Stars of the star map reflect upon the window among the falling snowflakes. Snow and stars. Local and universal. Perhaps this evocation will remain a part of the work when I complete it as I continue to try and find and define myself in the world. [For a discussion of the star map see journal entry, Mapping the Night].